Cucumber is a vegetable that is found around us. 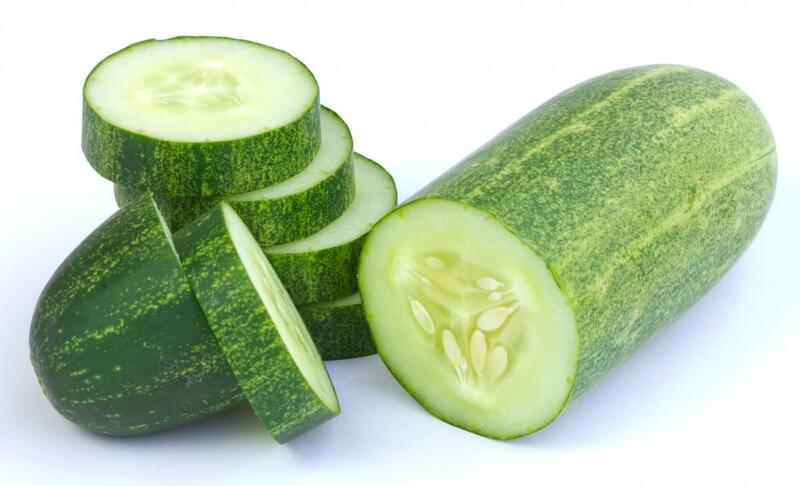 Dark green cucumber is a super food that is good for the total well being of the human body. Cucumber replenishes water in the body because the vegetable is 90% water. It hydrates the body making the skin look healthier. Cucumber heals heartburn and calms the heart. Application of cucumber to the face will give relief from sunburn. With the help of its high content of water, cucumber eliminates waste products from the body. Regular intake of cucumber dissolves kidney stones. Cucumber skin contains vitamin C; about 12% of the daily recommended intake. Cucumber is also high in potassium, magnesium and silicon. Cucumber is good for people who need weight lose as it is low in calorie. The fibre in it is great for digestion. Daily consumption of cucumber can help to cure chronic constipation. Cucumber is known to contain substances linked with reducing the risk of several cancer types including; ovarian, breast, prostate and uterine cancer. Cucumber juice contains the hormone needed by cells of the pancreas to produce insulin beneficial to diabetic patients. Cucumber contains a lot of fibre, potassium and magnesium. These nutrients work effectively for regulating both high and low blood pressure. Placing a chilled slice of cucumber over the puffy eyes is a beauty therapy. But it really works to reduce under-eye bags and puffiness due to its anti inflammatory properties. Cucumber juice heals and refreshes diseased gums. press a cucumber slice to the roof of your mouth for a half minute, and the petrochemicals will kill the bacteria that causes unpleasant breath. As cucumber is an excellent source of silica, it promotes joint health by strengthening the connective tissues. When mixed with carrot juice, cucumber can relieve gout and arthritis pain. To reduce the severity of headaches and hangover, eating a few slices of cucumber before going to sleep calms the nerve.